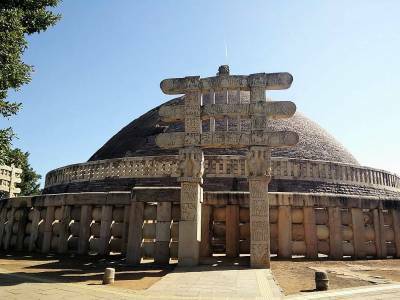 The Sanchi Stupa, also famous as Sanci is a Buddhist heritage site complex containing many structures and artefacts related to the rise and flourishment of the Buddhist religion in India. 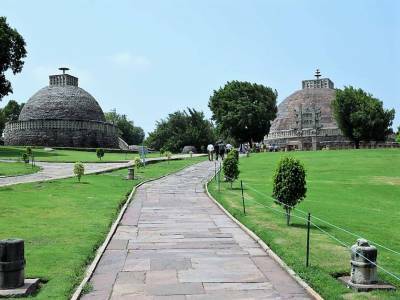 The Sanchi Stupa in the present day is a protected heritage site within which is housed the famous Stupa or a dome like earthen structure built by the Emperor Ashok and has two ornamented arched gateways flanking the entrance on the sides with the signature Ashok Stambha or pillars engraved with Emperor Ashoka's signature engavement. It was constructed in the eleventh century and the gateways were added additionally later on. It was built using bricks and was used as a seat of Buddhist teaching and traditions although its main purpose was to safeguard and house Buddhist relics belonging to the great Buddha. 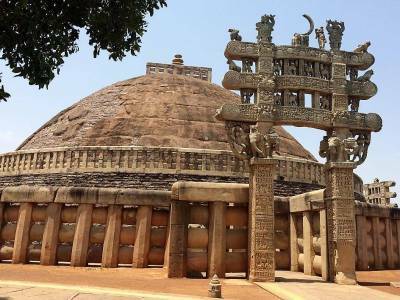 The Sanchi Stupa is situated in Raisen district of the central Indian state of Madhya Pradesh and is one of the most prominent structures in the Buddhist complex at Raisen. It has been accorded World Heritage Site by UNESCO. 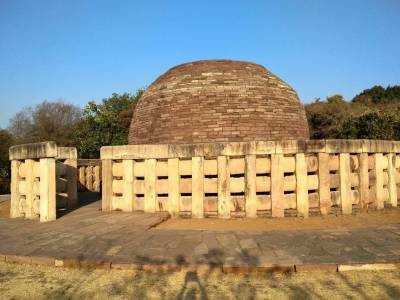 That apart there are numerous other structures, remnants of stupas and other establishments along with artefacts and ruins of the relics of the glorious Buddhist culture flourishing in the Mauryan dynasty. 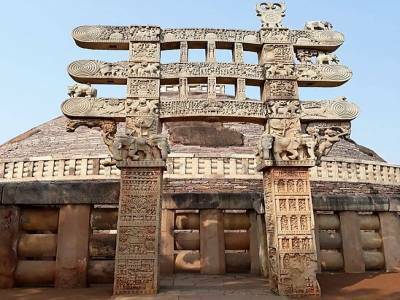 Get quick answers from travelers who visit to Sanchi Stupa.